A surprise deal by major oil producers to cut output is unlikely to make a big difference to the crazy low gas prices consumers have been enjoying at the pump. Oil prices jumped more than 5% after OPEC announced the proposed cut, but shed some of those gains later. "This is not a game-changer for the oil markets," said Julian Jessop, chief global economist at Capital Economics. "The agreed cut is small and from an already high level [of production]." The deal represents a U-turn by Saudi Arabia, which had led OPEC on a production binge to force higher cost competitors out of the market. It's also a sign that the Saudis can work with arch rival Iran, even if they were forced to compromise by the pain of very low prices. 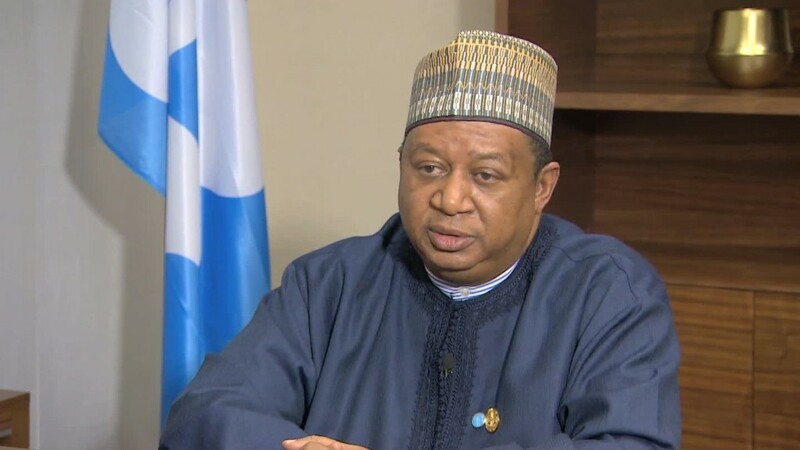 "In the recent past, we had two of our founder members who were at war," OPEC Secretary General Mohammad Barkindo told CNNMoney. "I was really impressed with the way they just focused on the fundamentals and came to this historic decision." Oil prices collapsed over the past two years because the world has far more oil than it can consume. The International Energy Agency said this month that supply will outstrip demand well into next year. Oil supplies and inventories remain high. And the IEA warned that despite low prices, demand is slowing in countries that were previously driving the market, such as India and China. "Demand needs to gradually increase to naturally rebalance the market," said Spencer Welch, an oil analyst at IHS Markit. The OPEC deal includes Saudi Arabia, the world's biggest oil producer that had previously refused to cut back. But it won't rein in some of the other top crude exporters. Iran, which recently emerged from sanctions, will be allowed to raise production further. Nigeria and Libya, which have had some of their oil facilities damaged by terrorist attacks, are also being given room to pump more. And then there's the U.S. and Russia, which are outside the cartel. "This deal falls well short of the earlier hopes of a coordinated plan with major non-OPEC producers, especially Russia," Jessop said. "Indeed, the main impact may simply be to encourage another burst of drilling in the U.S. shale industry, leaving the overall balance in the global market little changed." Russia has said previously, though, that it could join any deal reached by OPEC. The deal struck in Algiers is only preliminary, and uncertainty remains over whether it will be ratified at OPEC's next formal meeting in November, according to analysts at Goldman Sachs. What's more, the countries who agreed to an overall cut of as much as 900,000 barrels per day may not uphold their end of the bargain. "It is one thing to state a maximum number, it is a whole different ball game to get agreement on how this is divided between the OPEC countries and then for each to stick to it," said Welch. "This is a brave strategy by OPEC to make this statement," he said. "They are risking credibility by being this open, so presumably they must be confident they can deliver." But cartel members also have a tendency to overshoot production quotas, the Goldman analysts said, adding further doubt over how much output might actually fall. The price of oil jumped after the deal was announced, but only to a high of around $47.50 per barrel. That's not even the highest price so far this year -- and it's still way below the $100-plus range seen in previous years. So while consumers may see a small uptick in gas prices at the pump as a result of the deal, it's unlikely to lead to a big spike in the medium term, according to Spencer. Crude prices have been stuck in a range of $40-$50 since April. "Even if oil prices recover further to around $60 next year, as we expect, consumers should still be better off," said Jessop. He suggested that "the world may be heading for a period of 'goldilocks' oil prices: low enough to provide a sizeable boost to spending on other goods and services, but high enough to keep the major producers afloat." -- Matt Egan, John Defterios and Patrick Gillespie contributed to this report.